In her defense, it was the 50’s. However, from the time we are little girls we begin to cultivate in our imaginations what life will someday bring us, including in the way of our “other half”. We are fed fairy tales about princesses and being rescued almost as much as we are fed our three square meals a day, and this inadvertently lends itself to enchanting (*cough* polluting) our minds with ideas of our very own future. As we grow up, though we slowly relinquish our childish, whimsical ideas of what life must someday mean for us, we do continue to sprout and cultivate fantasies of how our life will unfold and present itself to us. Through whatever stimulus or propaganda we encounter as we grow, our idea about what Life should look like and how it should happen gets molded and shaped and rearranged and finally, solidified… until we think we have the perfect schema of what it is. Picture this lifetime-generated idea of Life as a box. We inadvertently (and obviously hypothetically), fill this box with contents (requirements, stipulations, ideals) we feel are non-negotiable in order for us to accept it as really ours. The contents are different for everyone, but everyone has their box. It’s not wrong to have it, mind you- in fact, it’s good to have expectations for oneself and for what one wants. 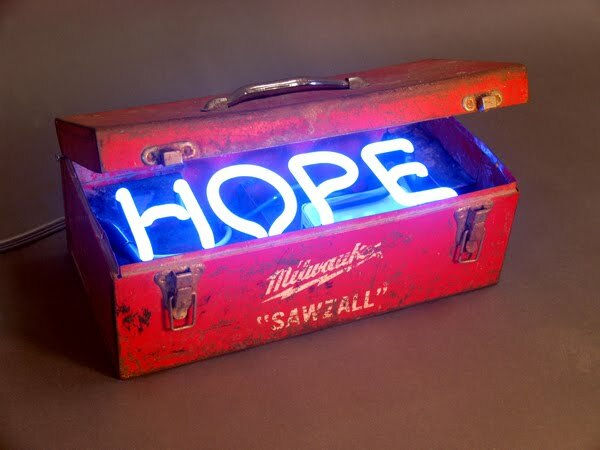 It can be a dangerous venture though, because if we become too enraptured with our figurative “hope chest”, it can blind us from seeing the goodness of reality. I think that when Heaven designed me, It made me innately proclivitous to long for things. Sometimes I think it may be the tragic flaw of my humanity; to actually long for something in such a way that it comes to be somewhat of an adopted appendage. I call it a tragic flaw only because when paired with a propensity for addiction (another highly sought after trait I’ve been fortunate enough to have congenitally been given), it can be debilitating and thus hinder one’s [*ahem* my] progression as a human being. As someone who governs almost all decisions according to the argument her emotions protest, I know this to be true. This kinesthetic relationship with one’s feelings coupled with the aforementioned preconceived Box of Life, can be covertly malignant… Because one becomes intoxicated/disillusioned with an idea of what is “altogether necessary for [their] happiness” (-Christian Bale, American Psycho… And yes, I’m a psycho for even watching it… Whatev) all the while thinking one is being totally practical. Oh and when I say “one”, I am of course, referring to Yours Truly Scrumptious. But assuming I’m not the only “one” out there, what do we do when life throws a wrench in our spokes? In this context… What do we do when we encounter something we just adore with every fiber of who we are but doesn’t quite fit into our box? Kim MacAfee sang about finding a malleable man and rearranging him to make him fit into whatever box she had contrived. That does not make being a woman lovely, that makes being a woman tedious. And how sad for that man, who probably was a good guy to begin with, right? I only use this example to compel the point that finding Happiness does not always mirror a contrived notion of “happiness”; that reconstructing an entity to make it more conducive to our conceived ideas of happiness can sometimes be more destructive to finding joy than constructive. In other words, I don’t think the answer comes in giving up one or the other, but in sometimes deciding which you have to rearrange to find Happiness. Whether it’s the entity or the box itself. I ask again, does one give up the entity or give up the box? … Maybe, you rearrange the box to fit around the entity, and get a reality better than anything even you, one who really has quite a talent for imagining things, could ever dream up yourself. Unrealistic expectations are the bane of our generation. As usual, I like the way you think. Aren't they though? And oh so hard to shake. Thanks for stopping by, man. Appreshe!